The best protection is early detection. 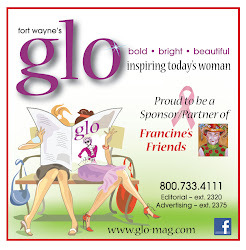 Francine's Friends Mobile Mammography coach makes getting a mammogram quick, easy and convenient for women throughout northeast Indiana. 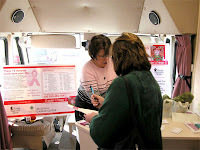 The coach visits churches, businesses, and other locations to bring this lifesaving service to as many women as possible. The interior of the 40-foot-long motor coach is designed for complete privacy. Radiologic technologists from the Breast Diagnostic Center (BDC) staff the coach, which is furnished with the same FDA-approved and Mammography Quality Standards Act (MQSA)-approved equipment as the two stationary sites of the BDC. A mammogram takes only about 15 minutes. Board-certified breast-imaging radiologists from FW Radiology interpret the exams. To schedule a mammogram, call 260-483-1847 or 1-800-727-8439, ext. 68120 (unless otherwise noted). Appointments preferably should be scheduled prior to the date. Walk-in openings are available depending on schedule. Occasionally, it may be necessary to cancel or reschedule a location. Please call to set up your appointment at the location you’ve chosen. That way, you’ll receive a call to reschedule in the event of a location cancellation. Please note: The Breast Diagnostic Center (BDC) performs the screening. For women who have insurance, they will bill the insurance company. If the patient does not have insurance but has the ability to pay, the BDC offers a reduced rate if paid the day of the screening. For women without insurance, a high deductible, or resources to pay, funding is available. 4/02/2019 MaxFitness - 1415 W. Dupont Rd. 4/05/2019 Matthew 25 - 413 E. Jefferson Blvd. 4/08/2019 MaxFitness - 9914 Illinois Rd. 4/09/2019 Neighborhood Health - 1717 S. Calhoun St.
4/11/2019 MaxFitness - 7245 Maplecrest Rd. 4/12/2019 University of St Frances - 2701 Spring St.
4/17/2019 Avalon Missionary Church - 1500 Lower Huntington Rd. 4/19/2019 Kroger - 6002 E. St. Joe Rd. 4/29/2018 Do It Best - 6502 Nelson Rd. FREE piece of chocolate with every mammogram! 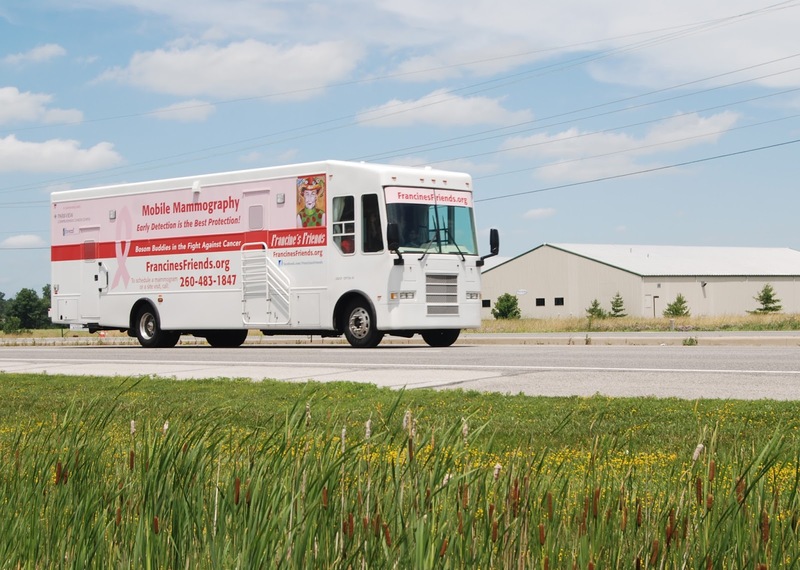 To schedule a visit of the mobile mammography coach at your site, contact the Breast Diagnostic Center at (260) 266-9180.